Every IT infrastructure needs a server to ensure that information is spread properly throughout the network. However, while servers were once tied to the business’ location, now they are also able to be virtualized in a cloud solution. This brings forth the question: which is better for your business’ needs? Let’s determine that by comparing and contrasting these two server options. When it comes to cost, virtualized servers are similar to buying in bulk - it can make a lot of sense, but only if you actually use what you’re paying for. Many smaller organizations may find that the up-front costs associated with virtualization to be too big of a barrier, or that they simply don’t have enough need to warrant a switch. Furthermore, while maintaining an in-house physical server can be a costly endeavor, switching over and using the cloud can also become really expensive, really quickly, if your company (and thereby, your need) grows. Our professionals can help advise you on what your best move is. The security of your business’ data is a completely crucial component of its overall success. A dedicated, in-house server is able to be tweaked to suit your business’ cybersecurity needs to your preferences and to any requirements your industry dictates through regulations. Due to the nature of the beast, a virtual server may not offer the same flexibility in meeting these important needs. With cyberattacks only increasing in cleverness, you will want to make sure that you have the highest possible protections keeping your entire business infrastructure, including your servers, secure. You want to be in control of how you are protecting your resources, something that a virtual server in a public cloud won’t allow you to do. An on-premise server is automatically at a disadvantage to a hosted virtual server where disaster recovery and business continuity are concerned. After all, the hosted virtual server is going to be off-premises, and therefore protected from the disaster that strikes your business. On the flip side, a physical server is vulnerable in its location in the splash zone, whether that splash zone be literal or not. With luck and the proper preparation, very little (if any) of your time will be spent dealing with the effects of a disaster, and you will be able to instead focus on growing your business. As a result, you may very well outgrow your current servers and need to expand. Of course, a disaster that you survive may leave some of your clientele in less-than-ideal straits, so there’s of course the chance that you may need to dial back a little as well. 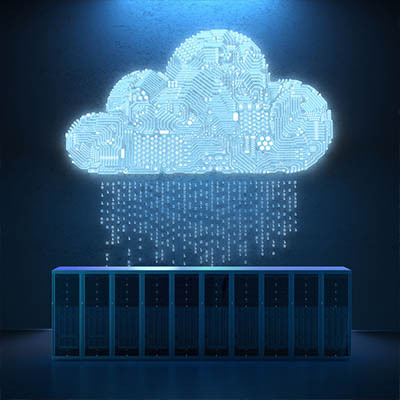 Both physical and virtual server deployments are technically capable of scalability, but the process is far easier with a server that is situated in the cloud, as resources can automatically be assigned to account for an increasing or decreasing workload. A physical server can be added to your infrastructure as well, but that often means a large expense, followed by extensive and time-consuming configuration and implementation. So, when it comes to scalability, a virtual server has the advantage. Again, it is important to remember that no two businesses are the same, and the best choice for one (or even one thousand) may not be the best choice for the one that matters to you: yours. 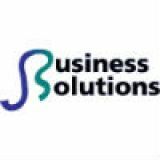 Call on the professionals at JS Business Solutions to help you make the right choice. Give us a call at (781) 715-1900. Where Does All That Lost Data Go?